Every so often you hear a song from a new artist you’re just discovering for the first time that literally makes you stop in your tracks. In 2012 Emma Jane managed it with ‘Sunday Monday Blues’ while around a year ago it was ‘Tennessee’ by Emily Baker. There is a distinct pattern occurring here as the same experience happened recently when first listening to the track ‘Back To You’ by Maria Byrne. It was first sampled online and in a whirlwind couple of weeks, the song has been witnessed live as well as having the EP it came from, parachuted in for review. 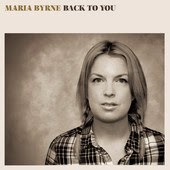 This amazing song is one of six tracks to feature on Maria’s new EP and lends it name to the record’s title BACK TO YOU. 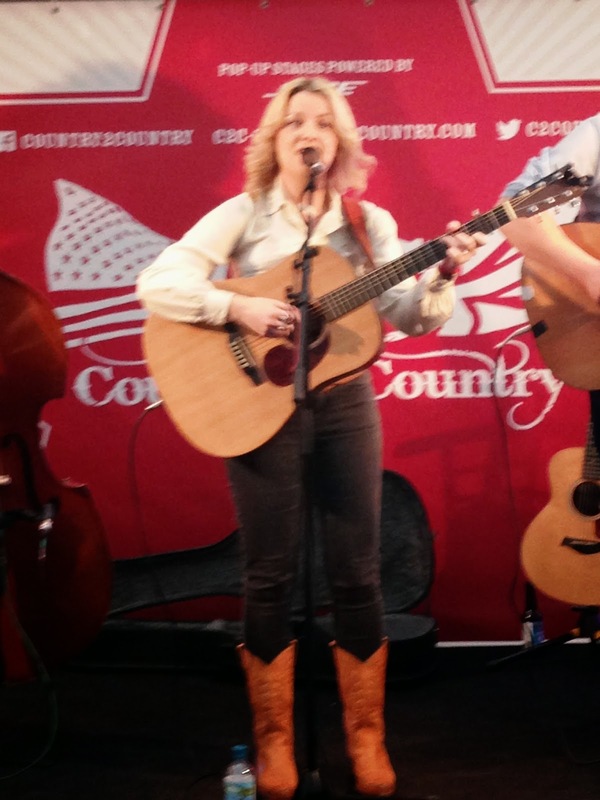 The work of Maria was being checked out in advance of deciding who to see of the growing number of UK based artists appearing on the pop up stages at this year’s Country to Country Festival in London. Instantly Maria was added to this list, a decision certainly not regretted after watching her 30 minute set at the O2. This release is Maria’s third since she moved from her native Ireland to London in 2008 and is definitely one to recommend to people who like her style of music. This is very much based on a folk Americana sound and, while this style seemed a little isolated at the O2, it is one that should be represented at a premium country music event. Midway through her set Maria deviated from her new material to sing the John Prine duet ‘In Spite Of Ourselves’ with Benjamin Folke Thomas, and the legendary US songwriter is name-checked as one of her key influences. Along with bass player and producer Karl Odlum, Benjamin Folke Thomas features prominently on Maria’s new record which is full of memorable tunes, flavoured by some superb string arrangements and delivered by her soft fulfilling vocals. The previously mentioned stand out track, which for me conjures up visions of Dolly Parton’s ‘Coat Of Many Colours’, had its context brought to life when Maria spoke about the emotional background of the song and how it related to her father. Checking out the track ‘Back To You’ is mandatory for any serious music lover. It is tricky to split the other five tracks as they all possess worthy merit and are delivered in a similar delectable ear pleasing style. ‘Tennessee’ is a popular song title and Maria’s composition (she is the writer of all six tracks) tells a tale of a desire to meet up 4000 miles from home in a certain state famed for its music. Gorgeous guitar work supplements the sweet vocals on such songs as ‘Sweet Burden’ and EP opener ‘Keep On…’. ‘Go To Sea’ has a more folk oriented roots sound to it while this short but high quality collection ends with the slightly more placid ‘Love Will Find You’. Maria’s previous releases received elements of mainstream praise within sections of the BBC Radio team and this EP will absolutely find a home within the burgeoning folk/Americana scene across the country. Currently Maria is active in the London area and hopefully further positive press coverage will encourage her to expand the record’s promotion around the UK. Listening to BACK TO YOU will be one of the most rewarding 20 minutes that you spend this year. It’s as simple as that.